The market is up and profits are too. Oh, right, we are talking about garage doors. Well, the market is never down for garage doors, is it? Try as you might to prevent it, your garage door will always need maintenance and repair eventually. Mother nature loves to take her toll on our garage doors. There are some new trends in 2017, though. The first of which is safety measures. No, these safety measures are not new but the rate at which people are installing them, is. There is also the rise of glass garage doors that are made to last. The average cost of a garage door installation remains the same around a thousand U.S Dollars, thankfully. How Are These New Trends Going To Affect You? Honestly, most of them probably won’t affect you too much. The one that might have the greatest impact is the new use of smartphone garage door technology. It used to be so easy to lose your garage door opener remote. Now, as long as you don’t lose your Iphone or Android, you should be okay. If you have that technology installed, of course. Another big trend that is impacting many garage door owners is new garage door insulation. By having this insulation installed you can save a lot of money on your electric bill and keep your garage more secure in general. How Can You Fall In Love With Your Garage Door This Year? There are many other new garage door trends in 2017. People are focusing on everything from the color of their garage door to the type. As mentioned before, glass garage doors are making a huge entrance onto the market. Most are essentially made from bullet-proof glass and they are very stylish. They can make your whole house look ten times better. As can a simple change of color. Even if you just like the color better. You should love your garage door the most. So consider these type of things this year. You might even want to consider a screen garage door if you like hanging out in your garage. Who do you call to make such changes, though? You certainly can’t do it all yourself. Even if you can, do you have the time to do it right? That is why you call Clarks Garage Door & Gate Repair at (877) 622-8183. We can literally handle any garage door repair or installation. We’ve got a 100% satisfaction guarantee that you will love our garage door services. From installing new safety features like sensors, to installing a new garage door if that is what you want. Just call us today for more information! Don’t let a small garage door repair become a huge disaster, either. 2017 should be the year you have no major garage door problems. 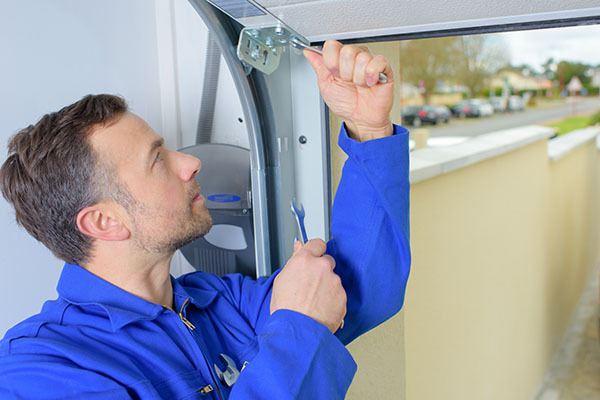 If you have already had one, then feel free to call us anytime for our Emergency Garage Door Services.